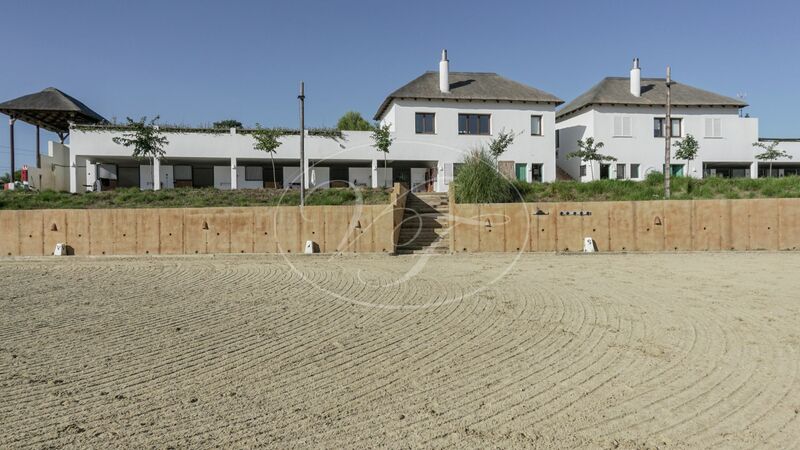 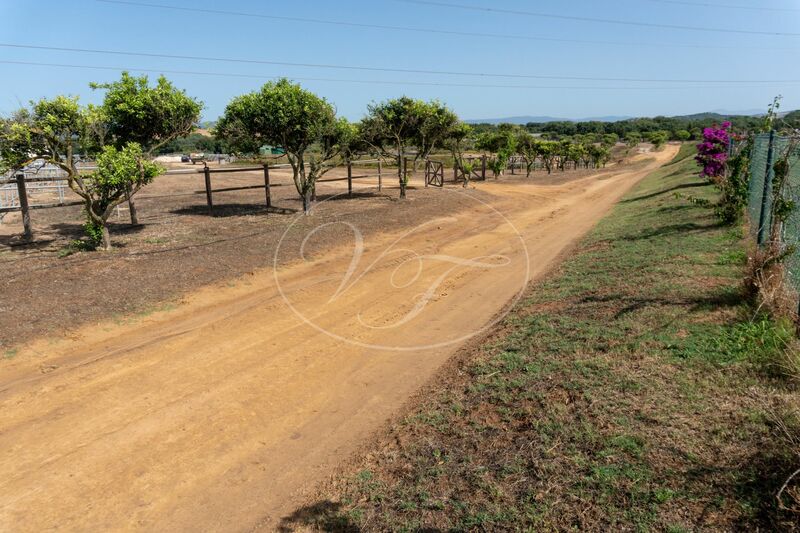 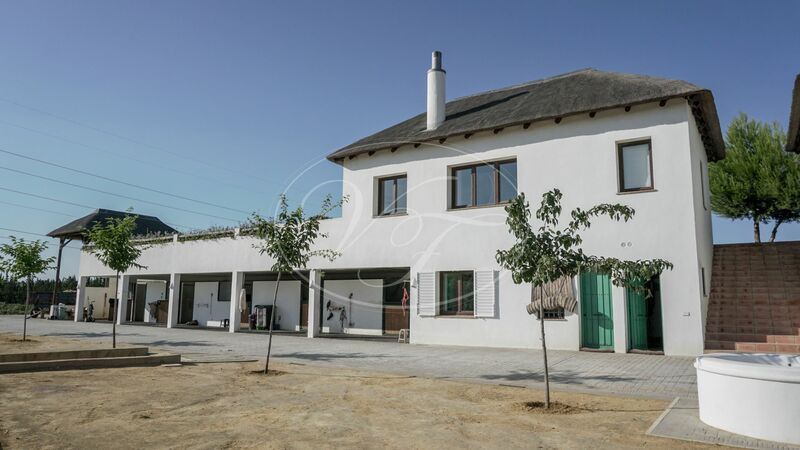 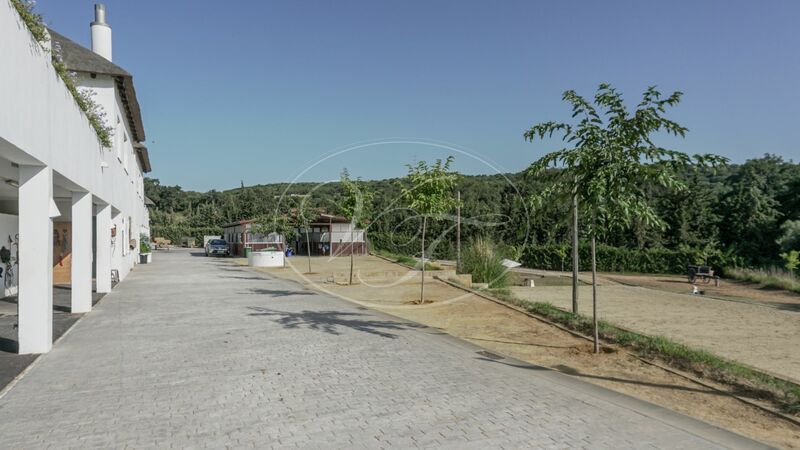 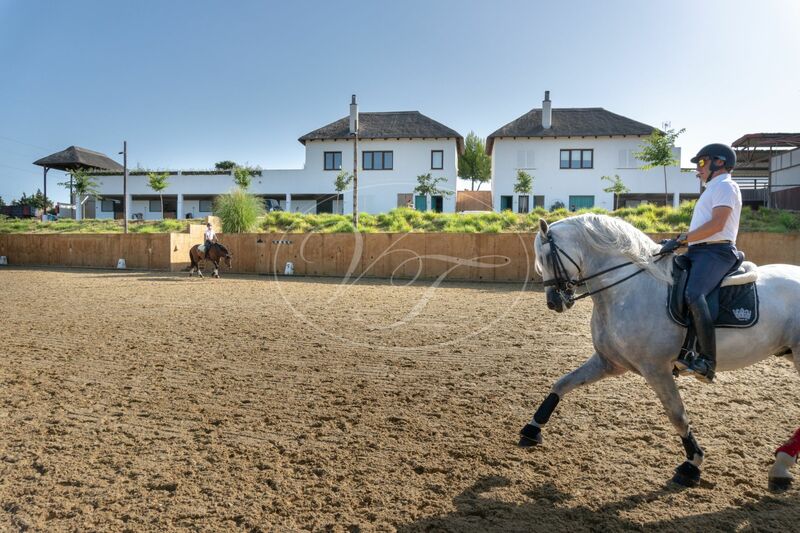 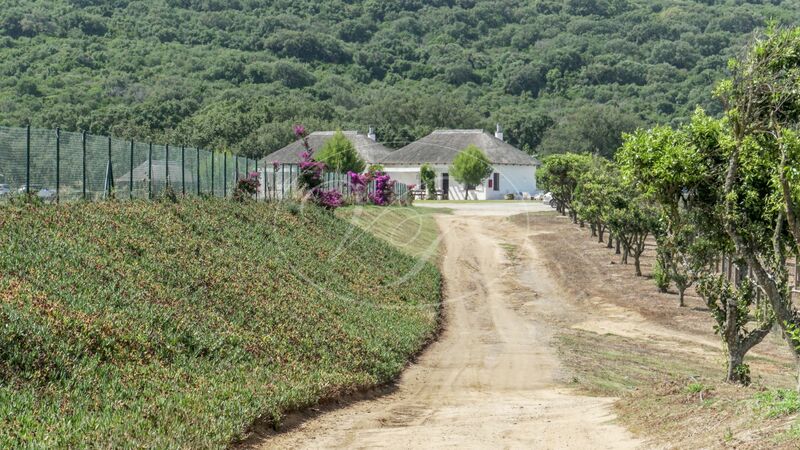 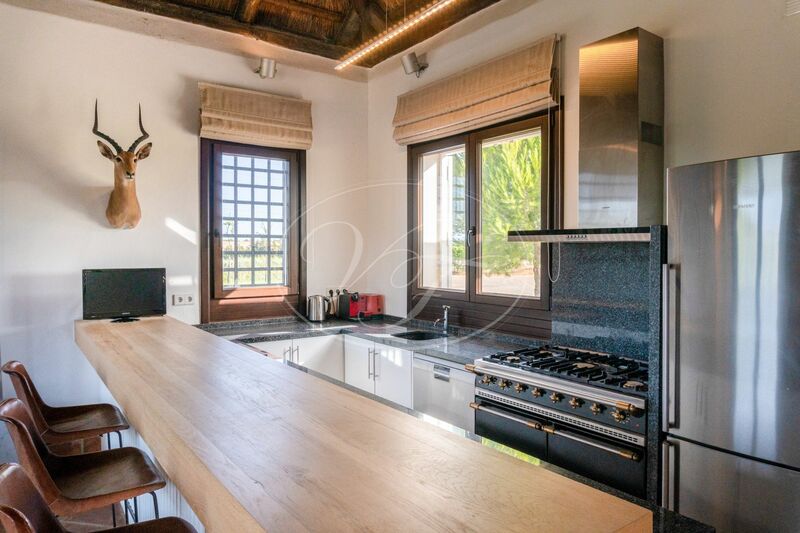 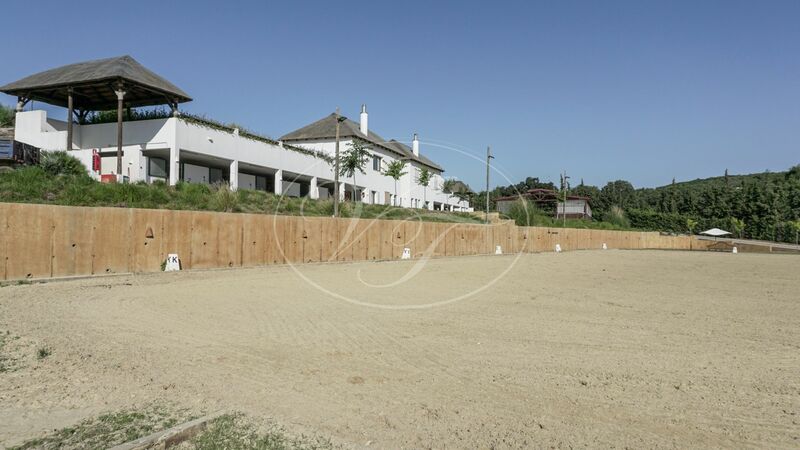 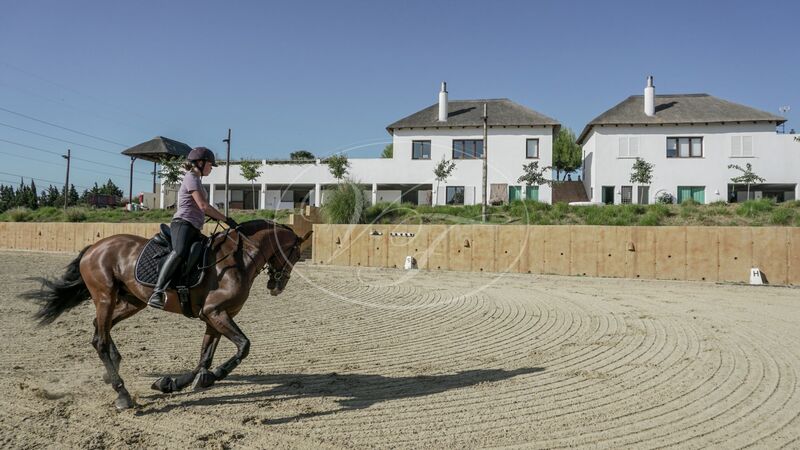 Magnificient equestrian property in Castellar de la Frontera, very close to Sotogrande, Andalusia. 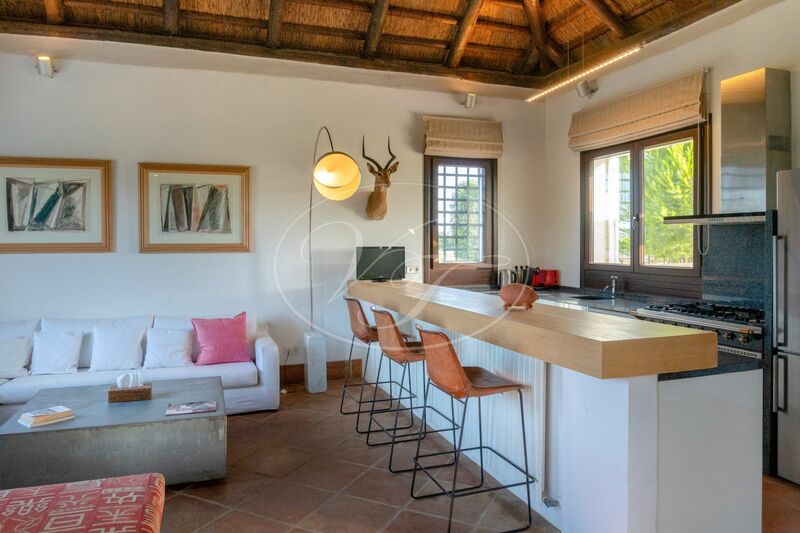 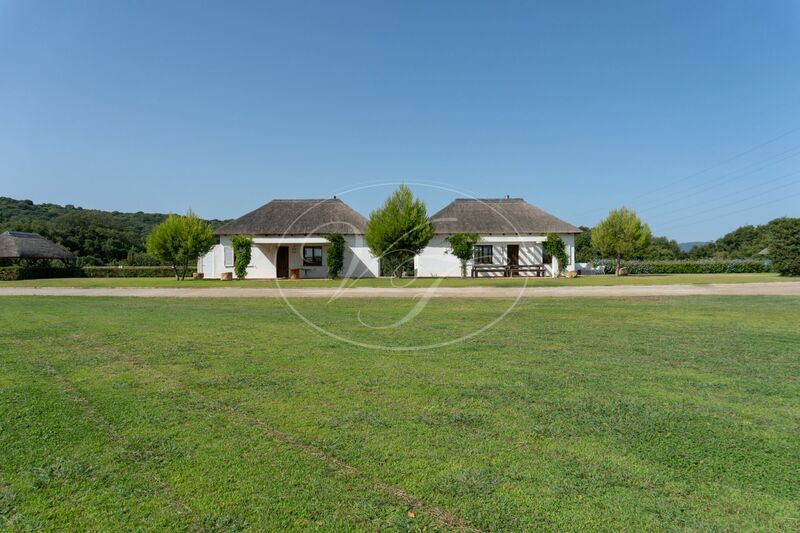 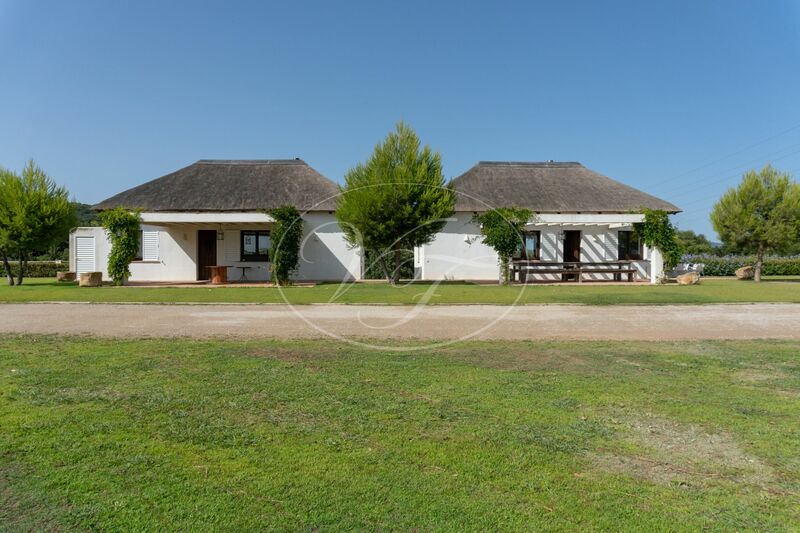 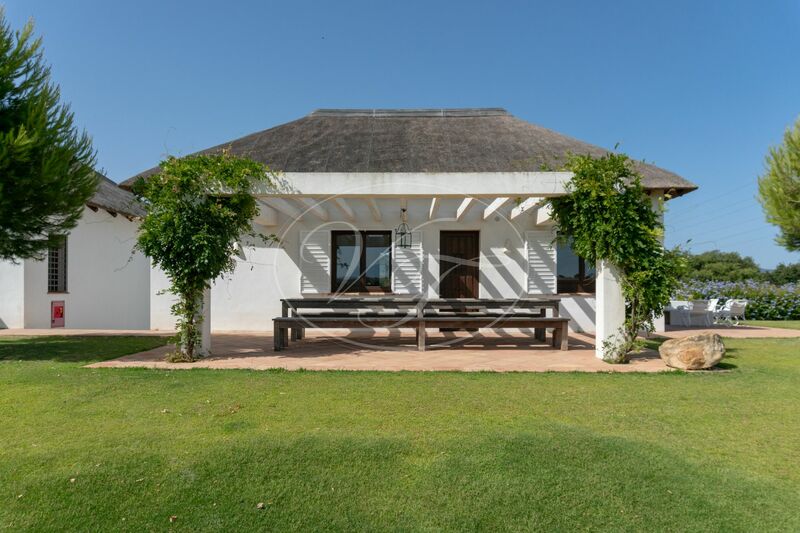 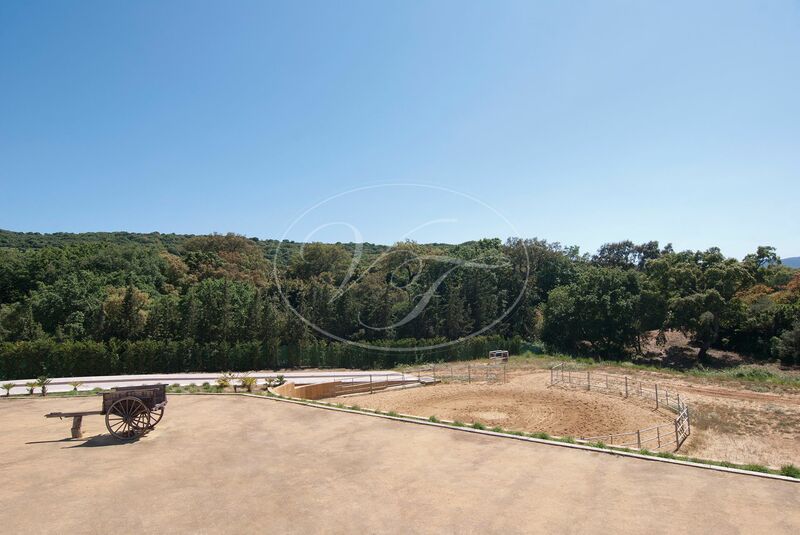 This property has all the modern training facilities and infrastructure expected of such a perfectly-adapted dressage or polo horse farm. 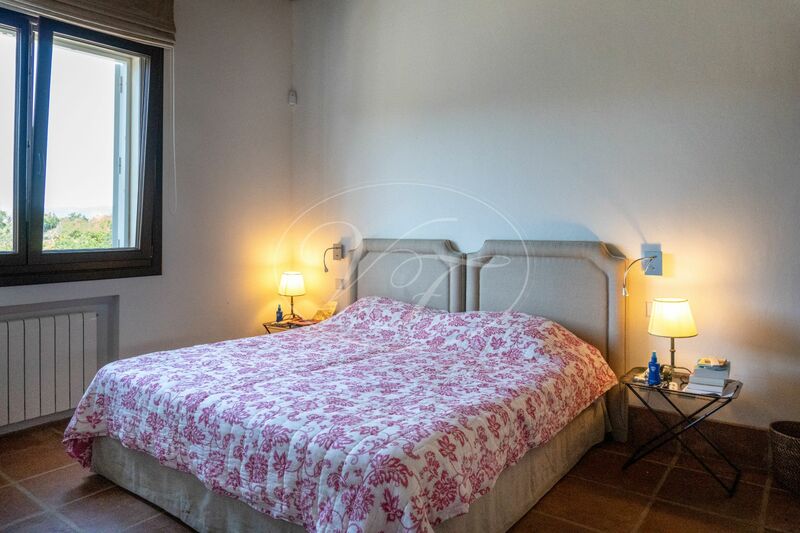 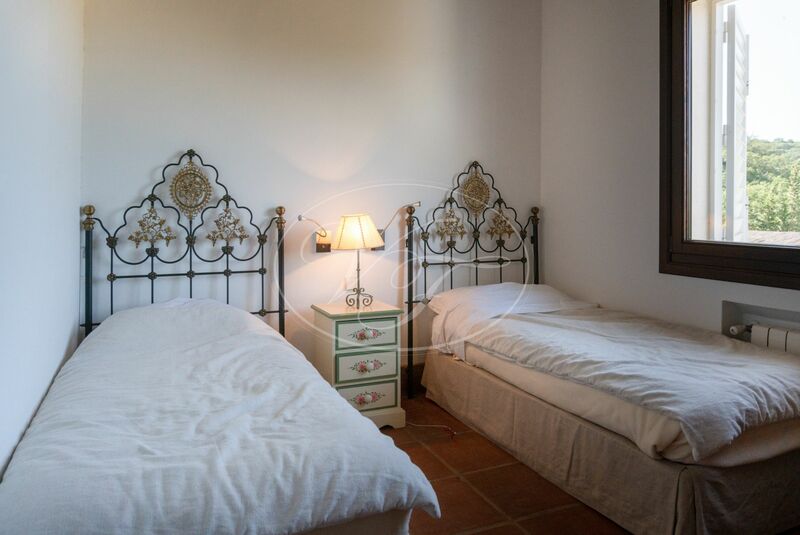 The Cortijo has divided into two independent houses: the main house, with three bedrooms, two bathrooms, a bright and ample living-room and a fully equipped kitchen. 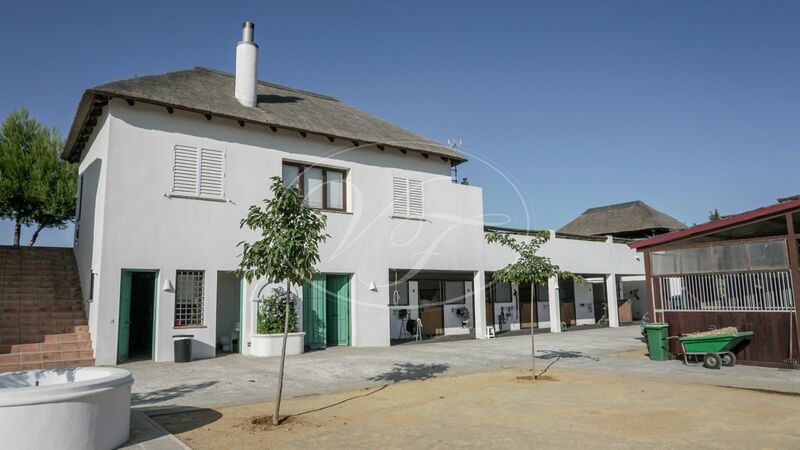 The other house has a living-room, a kitchen, a bathroom and a small storage room. 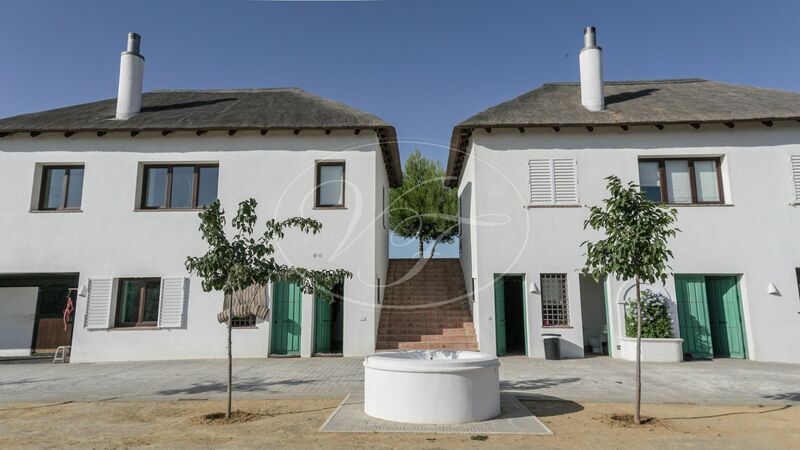 Both houses are perfectly integrated into their surrounding landscape by a roof that stands out from the complex itself. 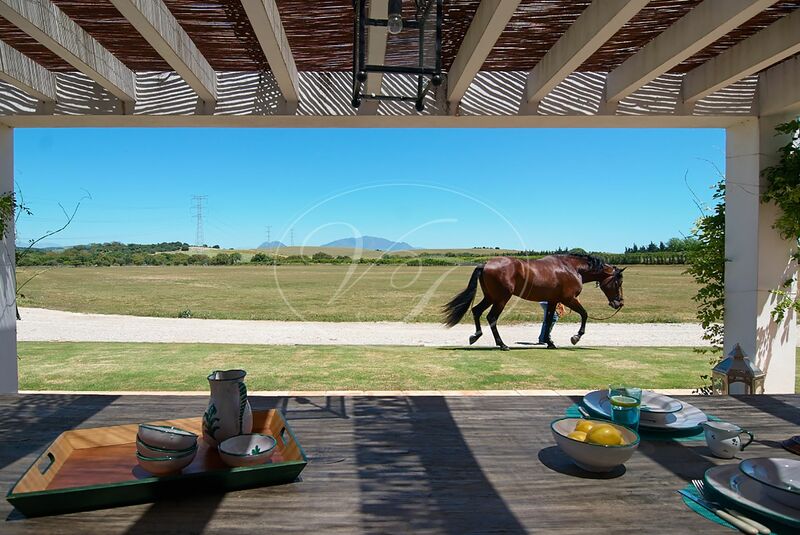 The porches provide superb views. 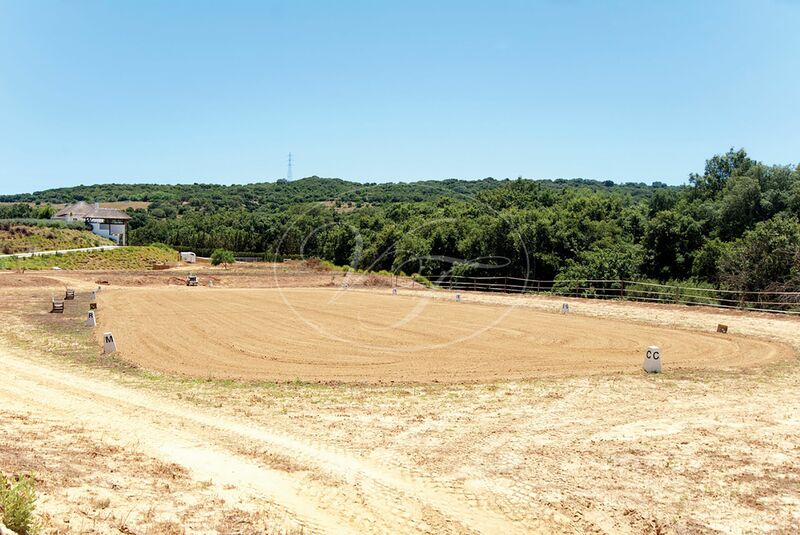 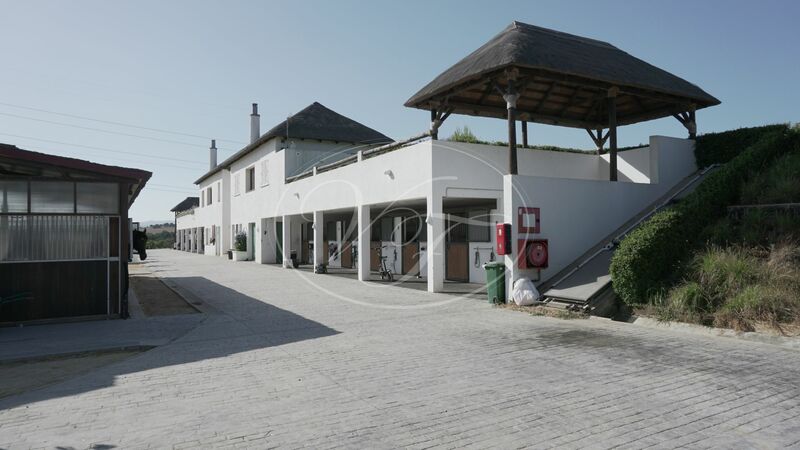 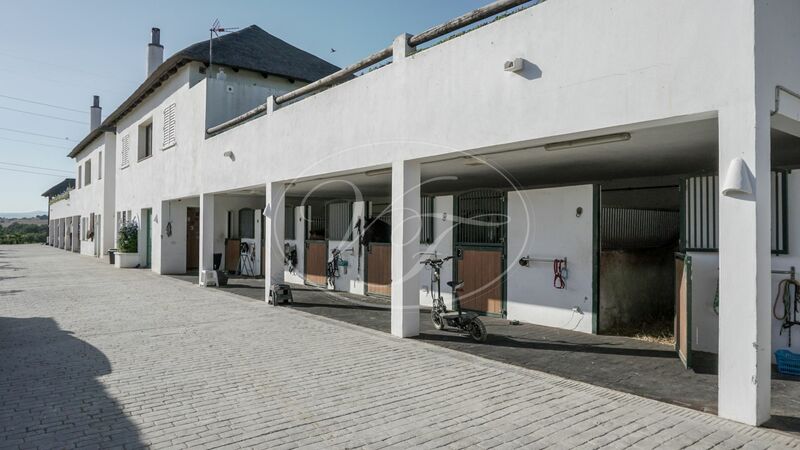 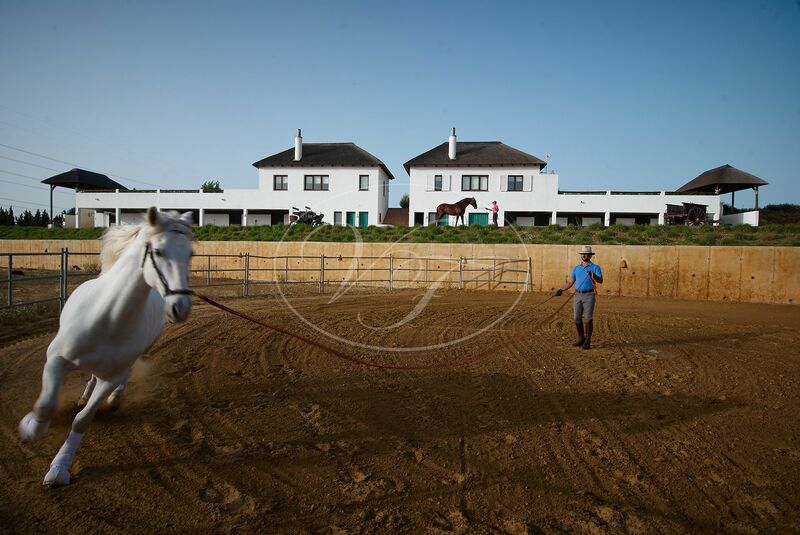 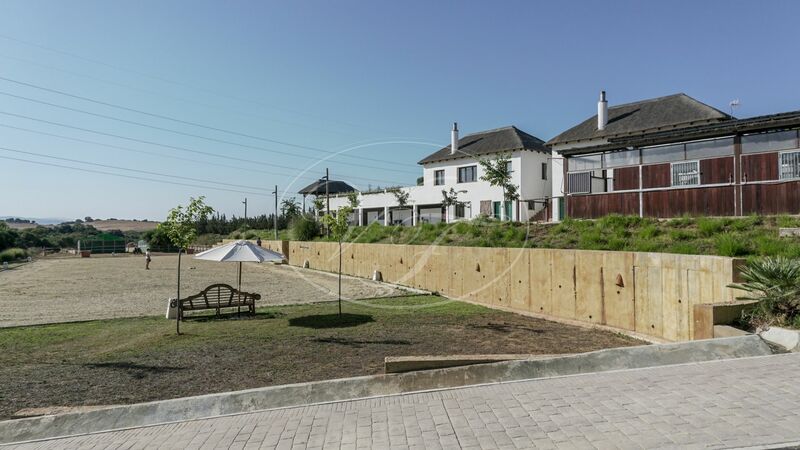 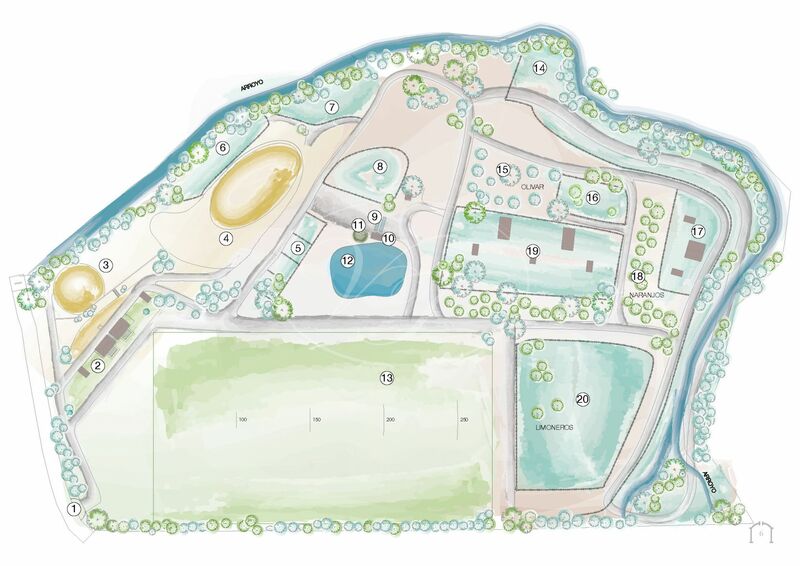 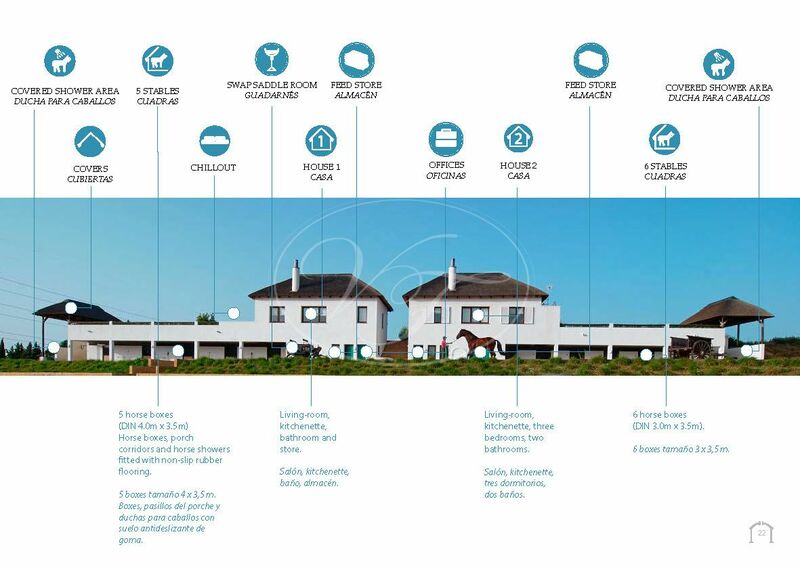 The estate has 25 permanent stables for horses, a quality dressage arena of official competition size and a large arena for lunging, riding and jumping. 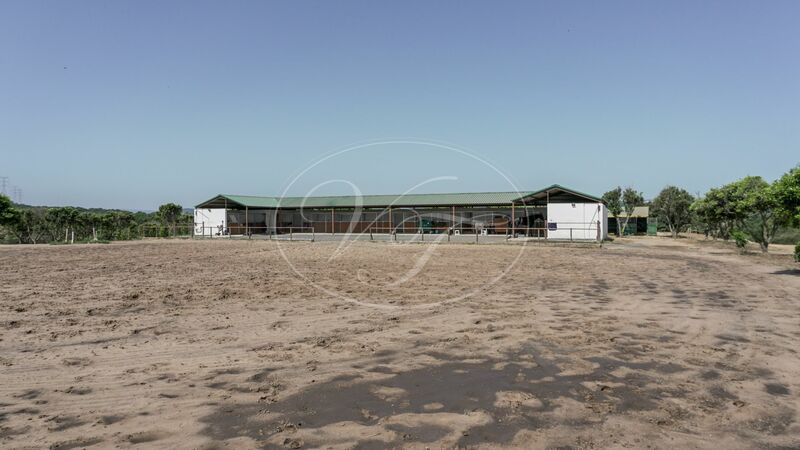 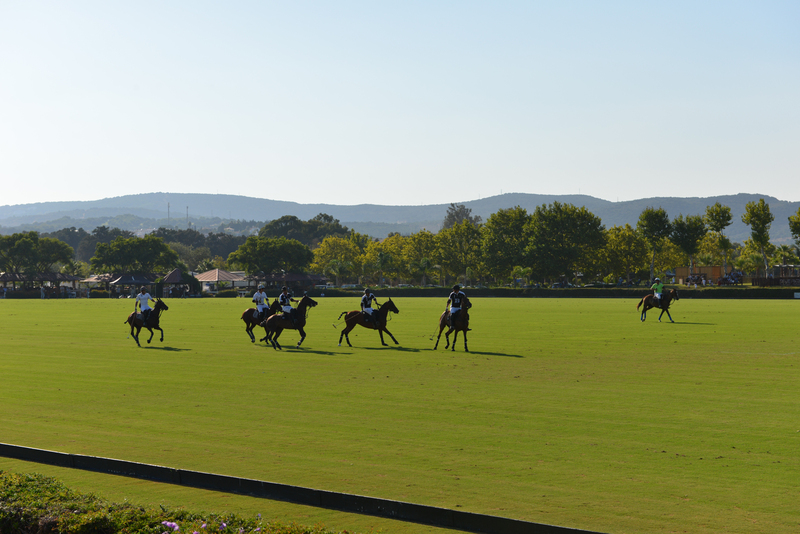 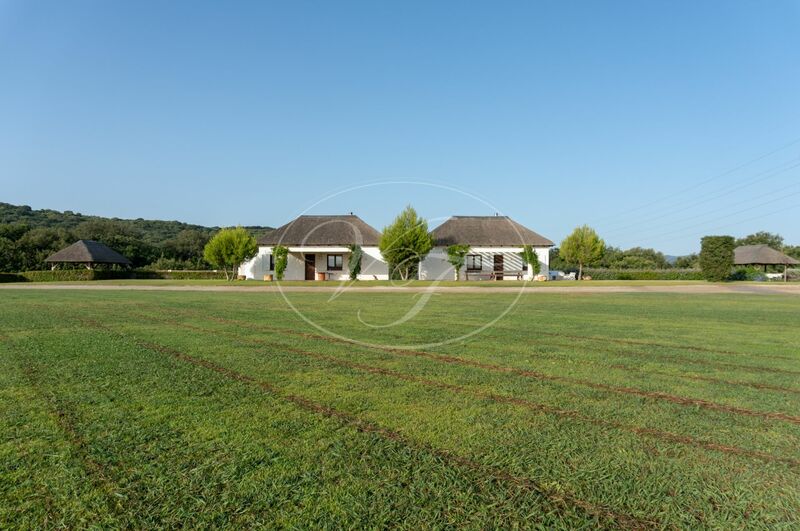 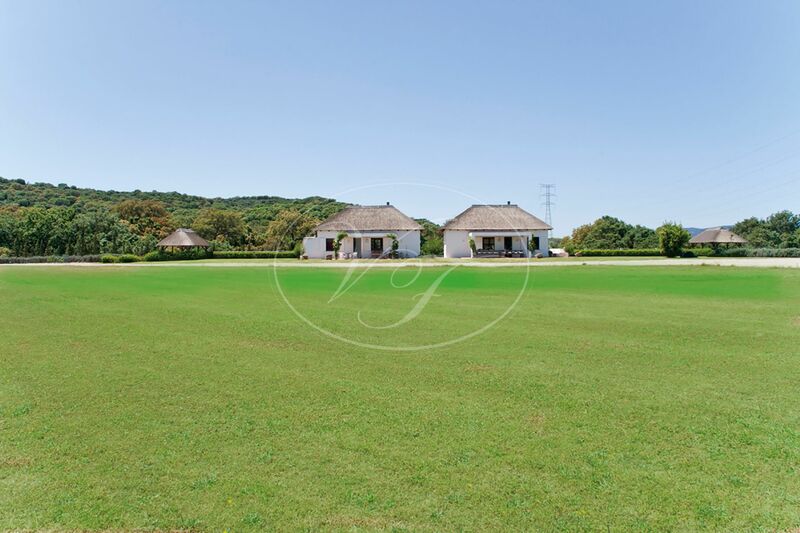 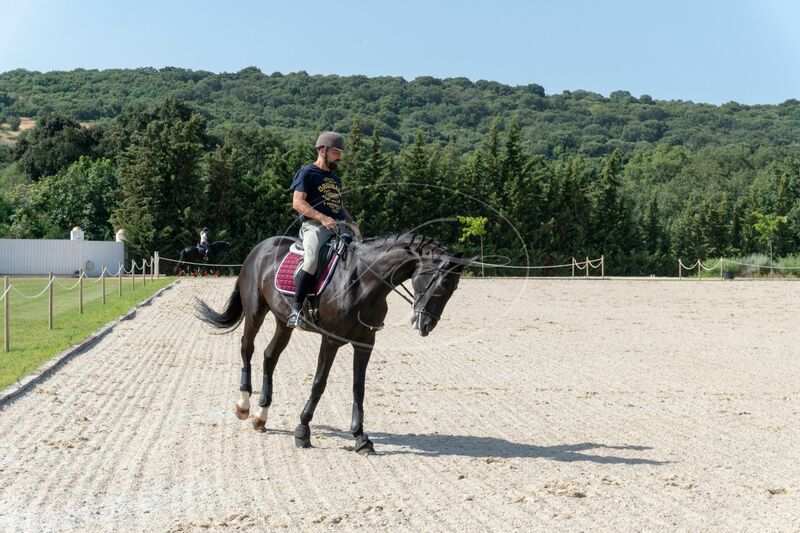 There is a huge grass field for polo training or to give your horse some relaxation before or after your training. 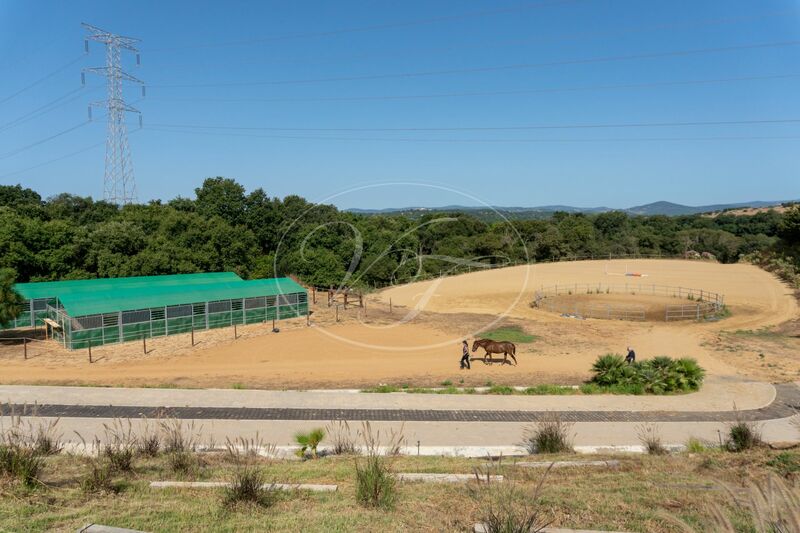 There are several fenced fields with shelters and automatic waterdrops. 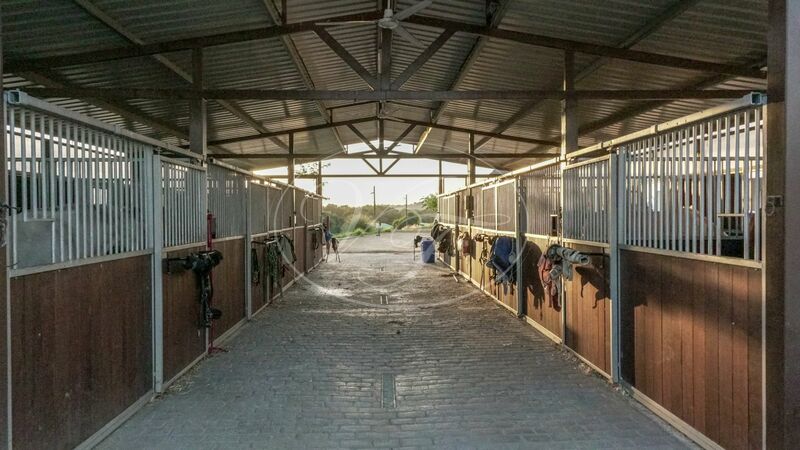 The measurements of the permanent stables are 5 (4m x 4,5m) + 6 (3m x 4m) constructed boxes, 14 (3m x 3,5m) wooden boxes. 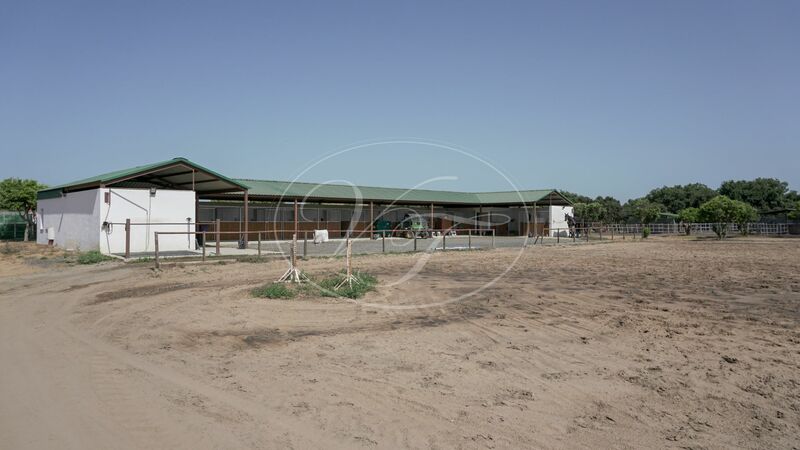 There are also 58 portable boxes and 10 portable shelters. 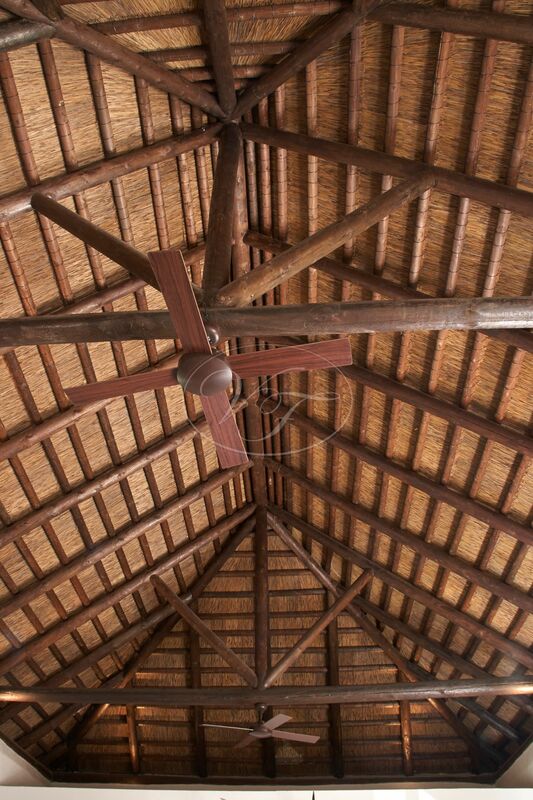 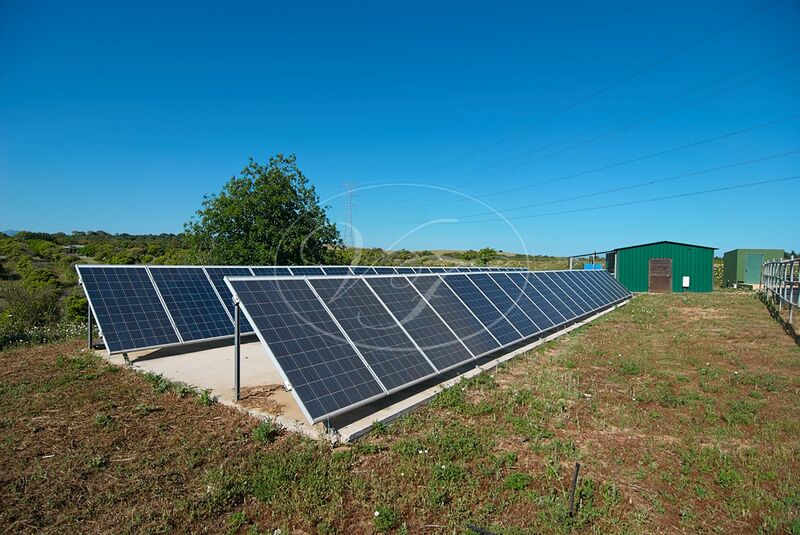 The estate has its own supply of electricity and water supply by solar panels, a reservoir, and a backup generator. 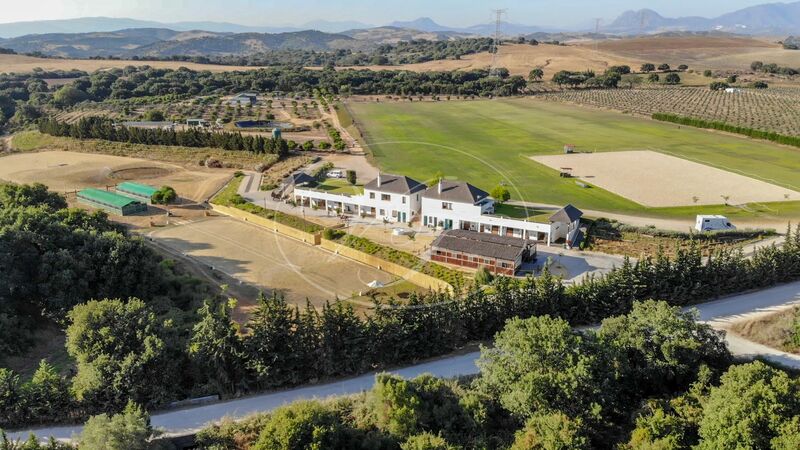 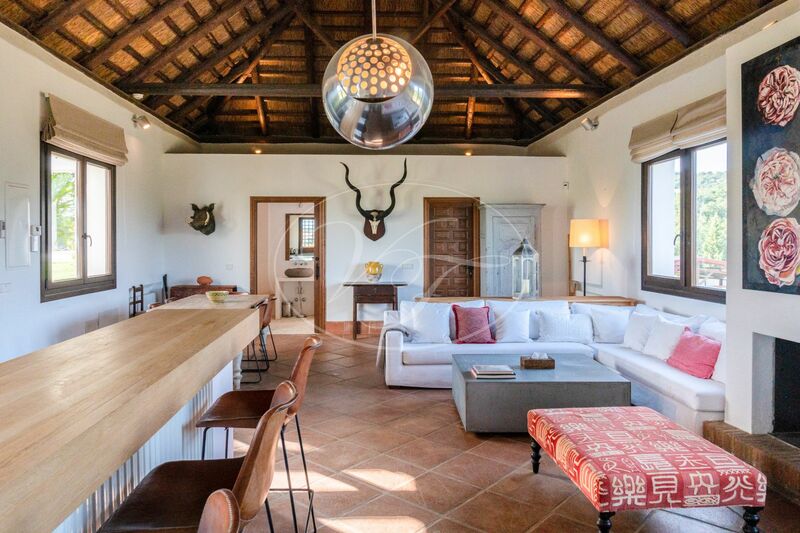 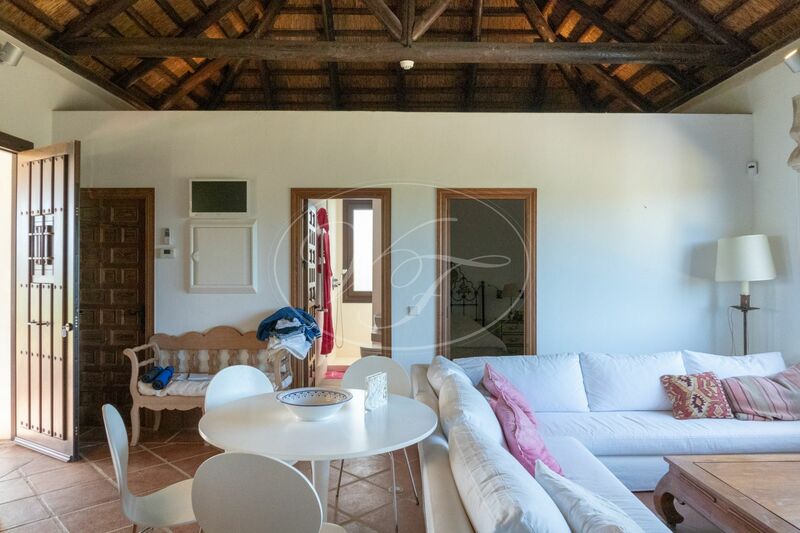 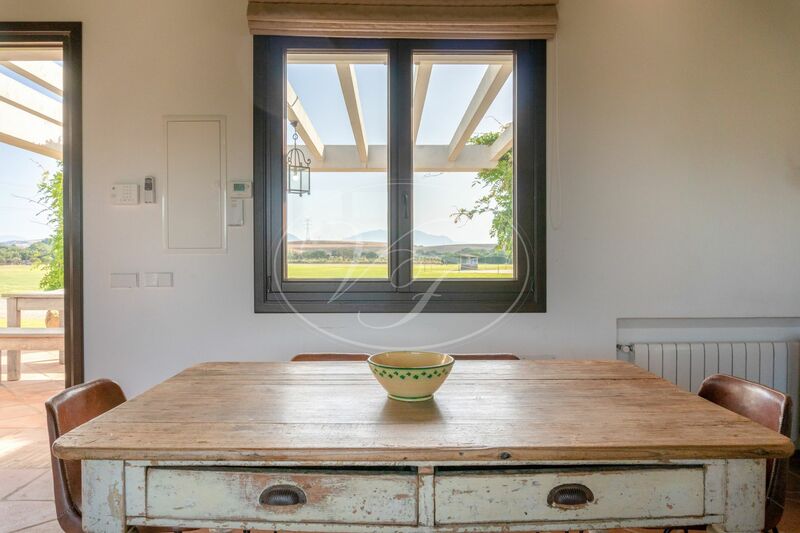 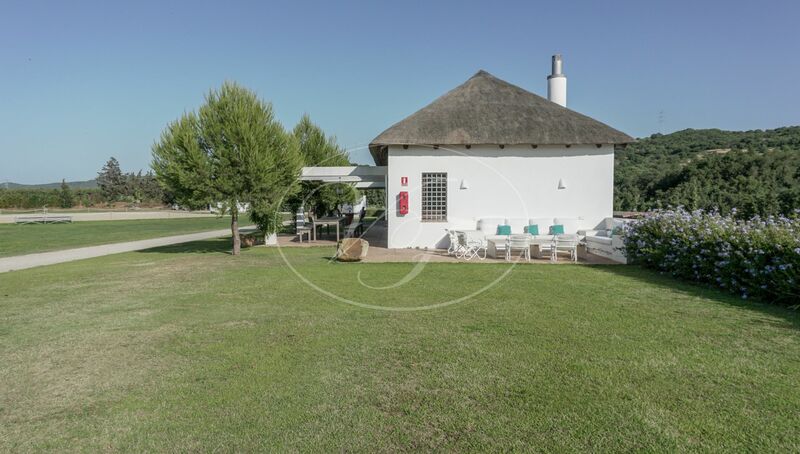 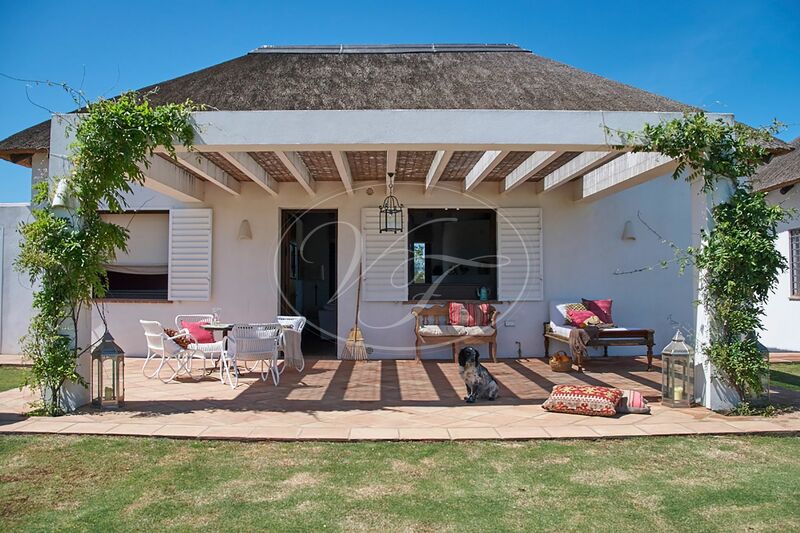 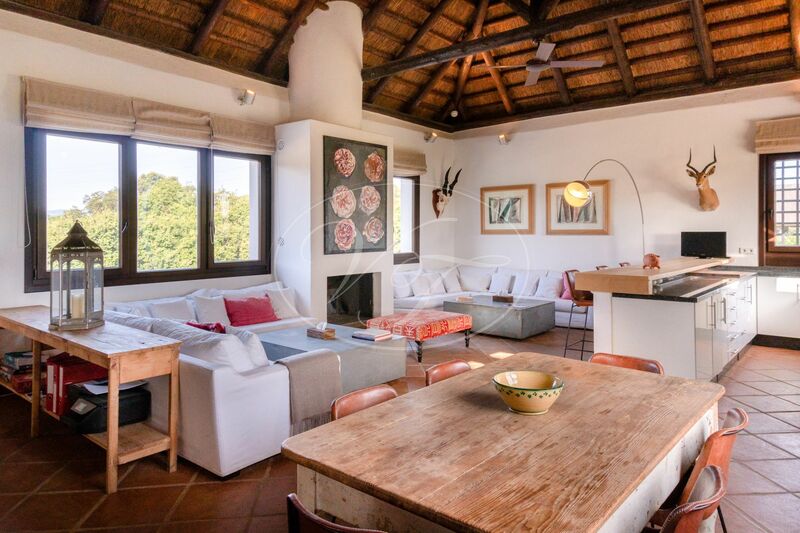 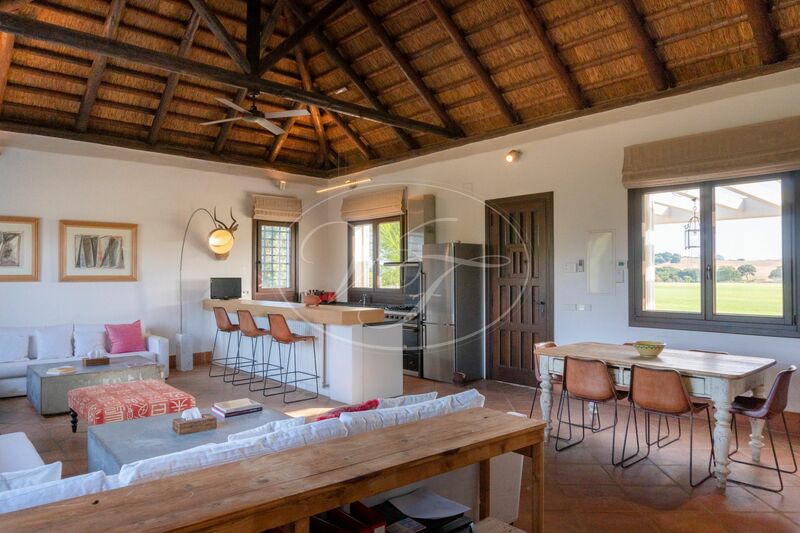 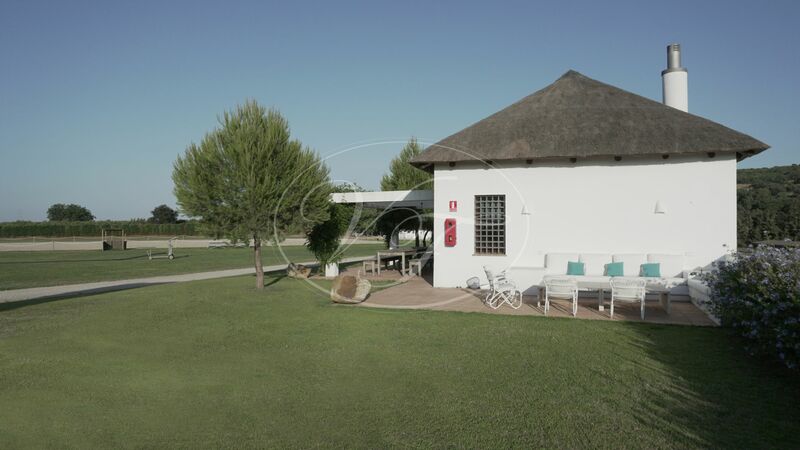 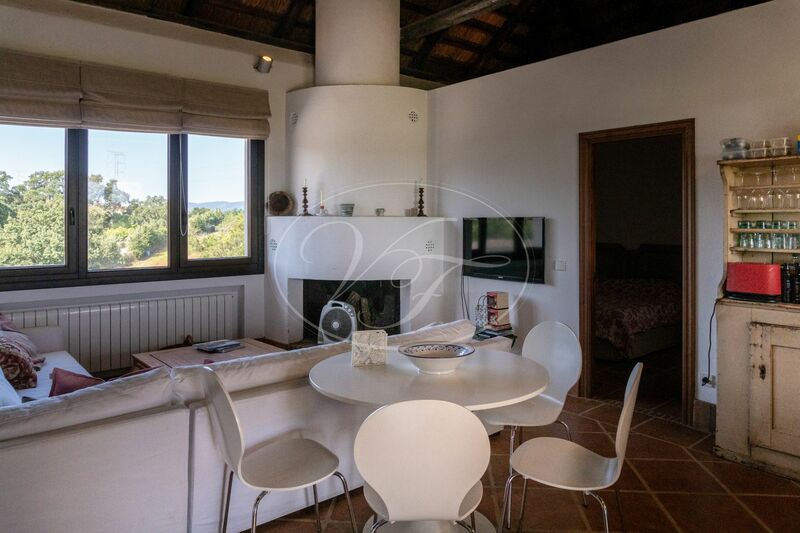 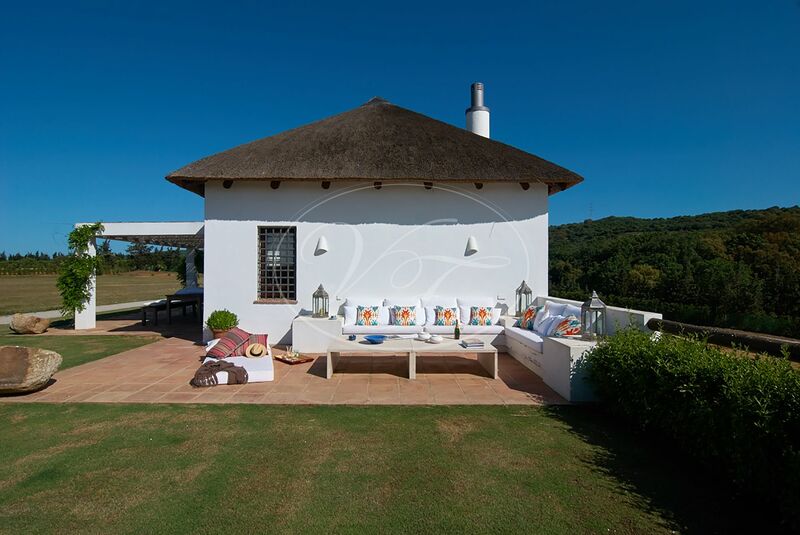 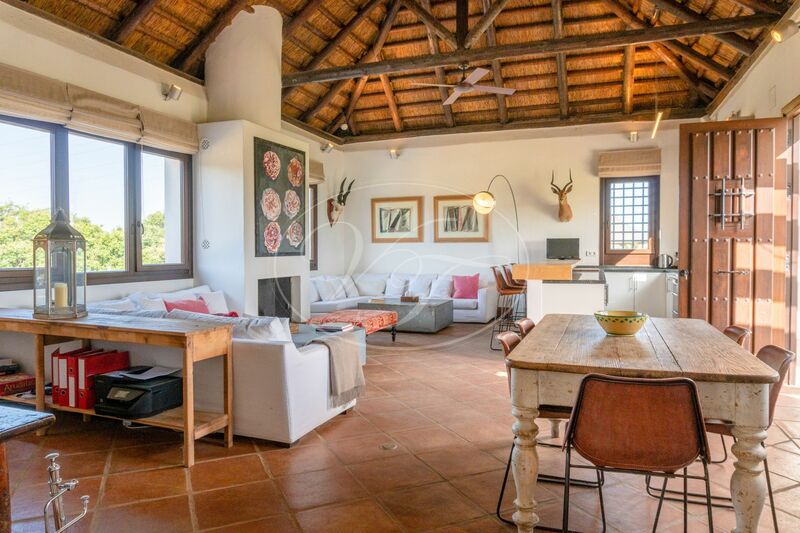 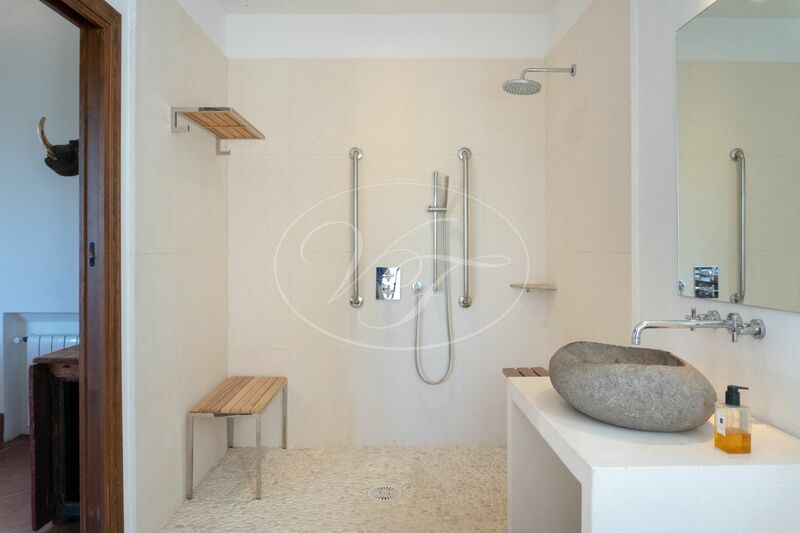 Ideally located very private, at 15 minutes drive from Sotogrande with all the polo clubs and its International School. 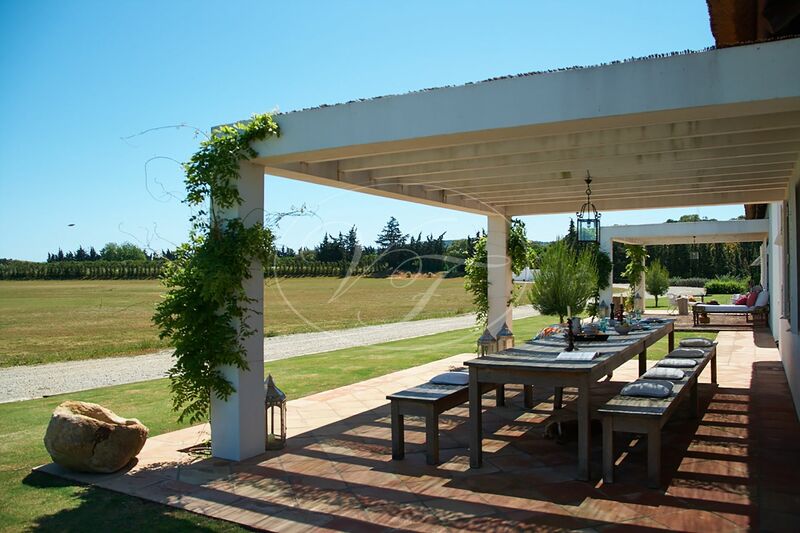 At 1 hour and 15 minutes to Malaga’s and Jerez airport. 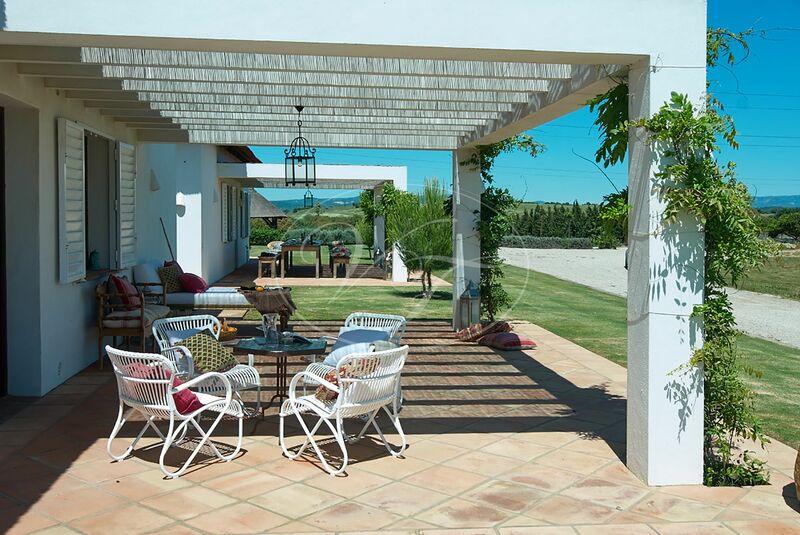 Please, send more information about ref 186-00778P, Cortijo in Sotogrande or similar properties.